The console of the Life Fitness IC7 displays all available training data – the wattage, speed, cadence, etc.. The highlight is the integrated personal coach or Coach by Color. Before the training, you are asked to provide three details about your physique. Out of these details, the computer calculates five intensity zones, which are adjusted to your personal fitness level. The zones are displayed in colour on the display. It ranges from the white display background (very low intensity) to the red display (maximum load). This function makes the Life Fitness indoor cycle IC7 Powered by ICG also interesting for instructors (online class, gym or training programme). As changes of intensity are often done during indoor cycling, it's just the colour which needs to be preset to achieve the correct difficulty. Hence the control via the personal intensity is quite easy and very clear. In addition, the console can be connected with a training App in order to save the training. Using it, you can track your progress much better. Thanks to the integrated generator, any external power source is not required for operating the training computer. Just start pedalling and the console starts as well. It offers two advantages: You save power while operating and you can place the Life Fitness indoor cycle IC7 Powered by ICG absolutely cable-free anywhere in the room. Saddle and handlebar are infinitely variable in horizontal and vertical direction - for the perfect sitting position. The adjustment is quite easily done thanks to the lock lever. The height adjustments of handlebar and seat are additionally supported by a gas pressure spring. For the IC7, the power of the pedals is transmitted to the flywheel in a two-stage system. Here, a high-quality Poly-V belt and a tooth belt are combined. Due to the big transmission ratio of 1:11, very big torques (power) can be transmitted and the flywheel is put to a very high number of revolutions. 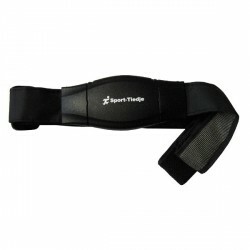 This combination results in a perfect power transmission and hence also to a much more comfortable cycling experience. In addition, a powermeter is attached to the intermediate shaft, which measures precisely the forces. Hence an extremely high measuring accuracy is achieved – perfect for analysing the own performance and for a professional training control. 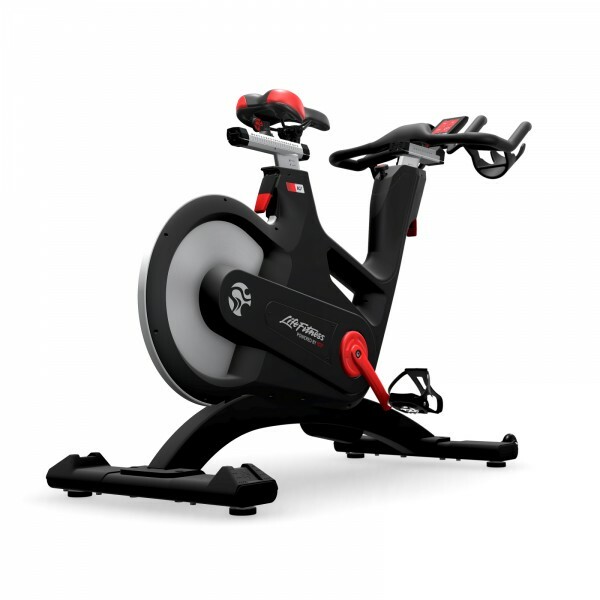 Life Fitness indoor cycle IC7 Powered by ICG add to comparison list.